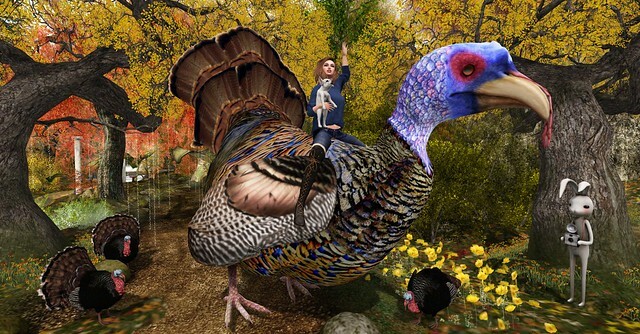 I just LOVED this Turkey mod by Jinx for the Waterhorse Draft on sight! It’s so big and colorful and goofy! What better way to say Happy Thanksgiving? Zenith boots and Izzie’s applier Twinnie Jeggings are from my inventory cave.